Baltimore and the surrounding counties for over 30 years now. Better Business Bureau rates us: A+ and with good reason ! 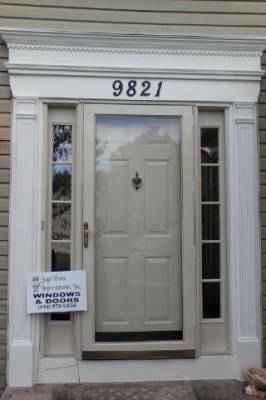 Sage himself, still estimates,measures and installs the superior quality products he sells; and, guarantees customer satisfaction. He believes in installing a good quality product at a reasonable price, without a long, high pressure sales pitch. Save some serious cash with high efficiency argon gas filled low-e glass and foam filled insulation available in all of our products ! Shop at home & save! We bring the showroom to you with our FREE, no obligation,no pressure estimate by the owner & installer himself! Just call Terry Sage at (410)529-7243 today ! 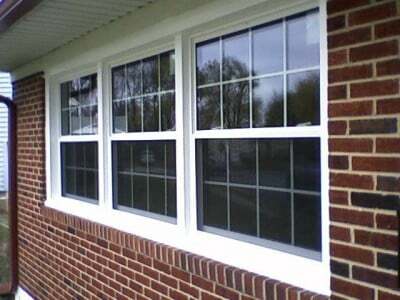 We can do energy star double hungs in single, double or triple mulled configurations (as shown) with flat colonial(shown),prairie,or diamond grids,contoured grids also.Sliders,casements, awnings, bays,bows,hoppers & glassblock too. 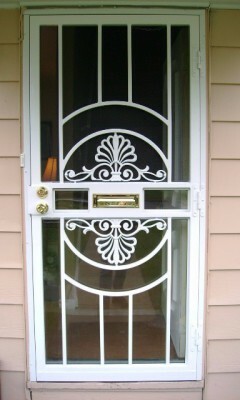 Custom made steel security storm doors & aluminum storm doors available any size ! From full view to ultra secure in a choice of baked on powder coat colors and hardware. Custom made entry doors & sidelights in single and double door configurations. Patio doors available in steel,vinyl and fiberglass too !